In a vast world filled with interesting opportunities and challenges, some are more difficult to come across than others. The Shadow of the Tomb Raider Challenge Tombs are riddled around the map but may possess a problem as they’re so intricately hidden, sometimes in plain sight, sometimes not. Our Shadow of the Tomb Raider Challenge Tombs Guide will help you with the locations of these Challenge Tombs. 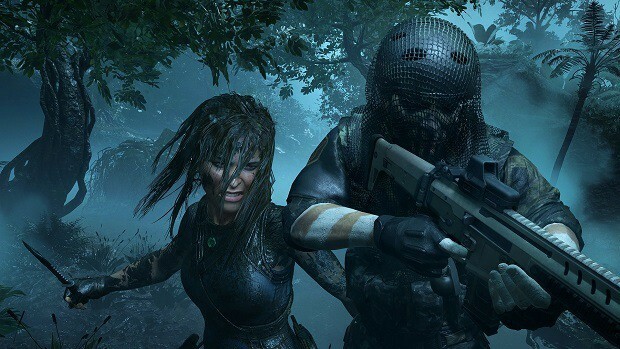 Shadow of the Tomb Raider Challenge Tombs apart from their thrilling puzzles and satisfaction will also provide Skill Points which help you unlock special abilities to aid in movement, combat, and general gameplay. Each Challenge Tomb has a different set of challenges including tricky puzzles, tough enemies and some confusing level designs. Some locations can get highlighted as waypoints if you manage to get close enough to the tombs or gather backpacks in caves with map information. You know you’ve completed the particular Challenge Tomb when you’ve discovered the shrine and read inscriptions on it to receive the rewards. 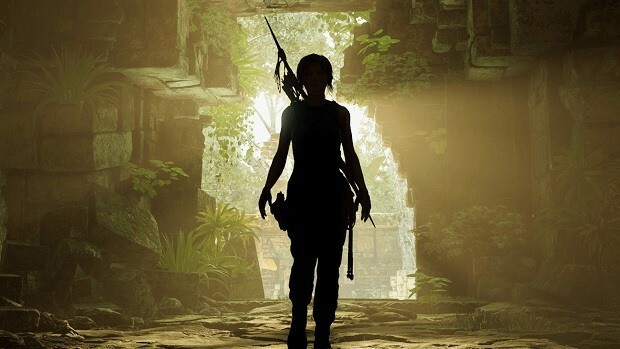 Anyways, without further ado, let’s locate the Shadow of the Tomb Raider Challenge Tombs themselves. This will be the first Challenge Tomb that you’re likely to come across as the plot progresses early on. Located southeast of Peruvian Jungle near the Jungle Ruins Base Camp, move forward, and under the roots. Climb along the fallen tree to grapple onto a nearby wall and through it to the other side of it. Deactivate any traps here and then swing forward from the same wall to grapple onto a ledge in front but a little far away. Now, you’ll need to reach the totem and to do this you need to follow some simple steps. Firstly, interact with the wooden contraption and then send out a rope arrow into the cliff with the rope hanging from it. Use this rope to reach the crane’s main platform. Pull the lever so that the weight moves to the right. Use this weight as a platform to jump onto the wooden contraption and set it to the original position which was before rotation. Use the rope arrow again to allow you to hop back onto the weight and eventually climb up the crane itself. Interact with the lever again and jump onto the weight as its moving. Move right and proceed to drop onto a lower ledge and climb across a wall. Climb up and jump onto the wall on your right. Your reward will be waiting for you as you interact with the shrine at the top of this ledge. You receive the Eagle’s perch perk to increase climbing speed. Located in Peruvian Jungle but to the northeast of the region or more precisely north of the Plane Wreckage base camp, the Challenge Tomb can be entered once you clear out some blockages from the back of the camp after you cross the water body. The Pick Axe is a mandatory item without which you can’t complete the climbing puzzles. Diving down from the cliff, you will need to climb up the ledges on the right so to use the contraption as a tool to elevate the statues situated on your left and create a new path. This will lead you to the Jungle Cavern Base Camp. From the camp, make your way to the suspension bridge and across it to drop down from the wall. Move forward and climb the right wall only to see the ladder to the shrine lying down. To get the ladder to lead to the shrine, the first move left and use one of the carts containing the counterweight and move it towards the ladder. Move the second cart to the original position of the first one. Connect the rope piece hanging from the ladder to the one embedded into the statue you found earlier on the left. Use your rope arrows for this purpose. Move to the right of the second cart and climb up and disable any traps there. Jump onto the counterweight and push the first cart forward now that the ladder is elevated and upright. Now connect the two pieces of rope involving the right side of the ladder and the right statue. Face the entrance of the court and climb the wall in front of you only to jump to the passage on the left. From the pry block, take a left and jump onto the counterweight again to make the ladder upright in its rightful position. Ascend the ladder and grab your Caiman Heart ability which decreases the time it takes for your health to regenerate. Located right in the middle of Kuwaq Yaku region, you’ll find this particular cave north of Temple of Death Base Camp. When you come across the jungle, head northeast and drop down into the water body. Proceed left and slide off until you reach a dry area only to climb onto a wall. From here, climb down and use the rappel to move onto the stone platform ahead. Climbing onto the wall to the right, you’ll gain entry into the cave via the tunnel. Now fight off some foxes and then move towards the large fire ahead. Connect the ledge and coil via the rope arrows. When you reach the platform, climb up and you reach Petroleum Deposit Base Camp. Moving forward, you’ll be able to see clearly that a fire is in your way across a bridge to the shrine. So you need to extinguish it out somehow. First, interact with the level on the right and jump onto the swinging weight just as it passes near you from the walkway. When the weight approaches the left side of the walkway, jump off and interact with the level here. This sends out a gush of wind to blow out part of the fire. Now jump to the walkway and then across it to see another fire blocking your path. Use your rope bow and pull the top of the weight or pendulum towards you to smash the piles of rocks blocking the main pathway. Return back to the second level, left of the walkway, and interact with it to make more of the pathway accessible. Now you will need to access the third level but before you can do so, you will have to unlock it. Climb right of the level, proceed up and connect another coil to the weight. Use this rope to return to the second lever and interact with it to unshackle the third lever. Interacting with this third and last lever, you manage to put out all the fire blocking your route to the shrine. Your reward will be the ‘Huracan’s Mantle’ perk which boosts some resistance to any damage taken. The entrance to this Challenge Tomb lies via a cave that can be reached by taking a set of stairs between two houses south of the Hidden City of Paititi. Walking up the stairs partly, jump onto the house on the left and into the water leading to the cave. From the Temple Path Base Camp, climb up a wall, and remove the barrier after which use the Grapple Axe to climb onto a ledge and eventually jump and hang off a fall in front of you. Move down and using the momentum from the wall run, jump onto another narrow platform in front. From here, climb left where you will need to jump both down and up until you’ve come across the stone wall which you are to climb up. This will lead you to the entrance at the side of the temple. Ascend the ladder here and jump onto the wall you come across next taking some physics related help from the pole. Move down the wall and ascend the stairs to find an opening to the chamber which you’ll reach by crawling. Immediately, you’ll be able to notice a large platform or a pavilion, surrounded by dangerous waters that will mean sudden death. Past that pavilion will be the shrine itself. To solve the puzzles, you need to interact with the four mirrors each of which lie around the edges of the water on top of wooden beams. Your goal would be to rotate the mirrors such that the light won’t be detected by the sensors on the pavilion and so that it lowers. Order regarding the rotation of mirrors is important to follow our directions. From where you entered this area, turn right to reach the first mirror and rotate it such as to direct its light to the left beam situated on the pavilion. Then head to the mirror on the left and rotate it to direct its light to the far beam on the pavilion. Return to the mirror on the right and rotate it such so it allows for a platform to open between the third mirror ahead of you. Interact with this third mirror on the right and turn it such that it directs the light to the beam or the part of the platform you came from just now. Return to the first mirror, the one ahead of this third mirror. Rotate this first mirror to display light on the left beam. Alter the second mirror on the left so too so both direct light on the same beam. Rotate the mirror 1 on your right so that part of a beam opens up in the direction of the fourth and final mirror. Move to the mirror 2 on the left of mirror 1 and turn it so the path to mirror 4 just ahead is complete. Interact with this final mirror and turn it left so that it directs light towards the beam that you just hopped your way to come here. Now you’ve successfully lowered the main pavilion and through it, you make your way to the shrine to collect your reward, the Hoatzin’s Hunger perk which gives you more resources each time you collect from the surroundings, thereby easing up the crafting process. The Challenge Tomb is located in the western part of Hidden City of Paititi near the Wild Jungle Base Camp in a forest area with both a stationary water body and waterfalls. You need to enter the tunnels via the stream of water to the southwest of the camp. Underwater in the tunnels, make sure you move right and then left to get to the surface again. Climb onto the left wall and swing over to reach the Ossuary Base Camp. Move downstairs and activate the traps using the lever, then jump onto the walkway via the stones. Avoiding the blades in the path, use your grapple tool to swing over onto a circular platform. Continue to the right and you’ll need to interact with another switch that turns on more traps. Avoiding these traps again, you’ll be able to observe a tower erect right in front of you. Head to the lowest section of the tower and move from the inside circle to the outside one by jumping off a wooden fence. Climb the wall on the right and you’ll be able to interact with another one of the machines to set up more traps. Head right and avoid the blades yet again only to jump over the fire trap as well later. Keep continuing forward and interact with the switch to lower part of the huge tower. Now make your way back to the previous movable machine following the route: inner circle to outer circle to the machine, instead of taking a right now as you did before, turn left. Again avoid the blades and fire until you find another switch ahead. Interact with it to completely lower the tower. Return to the inner circle of the tower and make your way up. Right at the top of the tower, you’ll be able to loot the Sip’s quicker skill from the shrine; it will give you an additional three arrows on top of the existing ammo of your bow. Near the Cenote Temple Ruins base camp in Cenote, take a right when the main story tells you to turn left in Chapter #5 of the game. Climb onto a ledge and dive into the water and swim your way to the tunnel. Make sure you swim right just as you seem a reflection or a glimmer of light in the water. Avoid the eels here and go where the waterfalls take you. Now you need to climb up a wall and then jump right onto another one which, if you climb up on, you will enter the Collapse Temple Base Camp. From here, climb up a ledge and make your way to the canon and a cart. First, move the cart to the left giving you the opportunity of using the cannon to smash through the blockage ahead. Follow the path the cart takes and you’ll reach a place holding an old stranded ship. Head right and use a raft to make your way to the ship. Make your way to the deck of the ship via the side of the vessel. Take the stairs down and interact with the handle to rotate the light cannon here to its rightful position. Head to the corridor on the left. From here, climb up the vertical boards and using the pole, swing onto this different part of the deck. Move left and onto a smaller ship, a sailor’s boom via a tightrope attached to the end of this main ship. Interact with the crank of this smaller ship with a climbing axe to rotate the ship at the right angle. From the mast, ascend the ladder onto the next boom. Jump on the nearby ledge and head right. Climb up a wall and swing towards the boom on the right. Turn the handle near the mast so that it faces the foremast or the main mast. Use a crate to hop onto the boom here and jump onto the cargo box you can see in front of you. Climb up the partial stairs in front of the cargo and turn the crank so that a cannon drops in on the captain’s room on this boom. Connect a rope to this room, ride it down. Here, in the captain’s quarters, you receive the skill, Caiman’s Breath II which increases the time you can spend underwater without oxygen. The place can be found by heading to the eastern region of The Hidden City near the Temple of Kukulkan. Head north from this camp where some guards will deny you access on a bridge. Jump left from here and in the cave, swim in the water tunnels. Reaching the surface, climb up the wall and then drop down to move right hopping over the running water. Following the ledge on the right, you’ll reach Subterranean River Base Camp. Dive into the water and you’ll be able to notice a mechanism at the front to fill the area with water and lever at the back to empty the area. The shrine lies atop a Maya aqueduct. You can reach it if you manage to raise the water level high enough for the platform to elevate and align with the aqueduct. Jumping onto the raft, connect a rope between this raft you’re standing on and the coil at the gate. Raise the water with the mechanism at the front wall and this will allow the gate to get raised. Swimming through to the newly opened passageway through the gate, pull the lever to empty the water. Clear the blockages to access the first chamber. Clear out the enemies here and then drag the raft using the rope to the second chamber or room. Head back to the mechanism and interact with it again to raise the water level. Hop onto the raft and then onto the entrance of the corridor. Clear out enemies here and then proceed forward to pull the mechanism on the left to raise the water level even higher in both chambers. Hopping onto the raft, attach the rope from the raft to the shaft of the waterwheel. Use this rope to reach the platform where you’ll need to attach a rope from this shaft and a large disc. Eliminate more enemies after which pull the raft back with a rope. Before hopping onto it, tether another rope between the shaft and the disc just like you carried out earlier. Get off the raft and climb up the wall and onto the ledge on the right. Quickly make your way to the central platform and then to another platform on its side so you’re able to finally reach the shrine. The reward for completion will be Jaguar’s Paw which increases the chances of knocking down enemies with melee attacks. Located near Ruined Tower base camp where you face Empress Jaguar in this southeastern region of Mission of San Juan, the Challenge Tomb cannot be completed without some explosive arrows, so come well prepare and well resourced. After reaching Deserted Cloister Base Camp through the gate here, continue along the corridor and drop down to reach the Mountain Catacombs Base Camp. Jump across the hole in the floor and onto a wall which you can climb to gain entry into the tomb. Now this Challenge Tomb is particularly confusing because of its layout. It consists of many passages and walkways all of which are seemingly disconnected, so follow along accordingly. Additionally, there will also be toxic clouds of green gas that will sometimes be needed to solve puzzles and at other times, should be avoided by shooting a flare towards it with your firearm which puts it out for a short period of time. Upon entering the tomb, first, climb up the wall on the right and use your flare to dispose of the gas. Immediately, climb the wall and drop down to clear the blockage at the mouth of the statue spewing the gas. Use the flare and the resulting explosion to connect a rope between a rope directly above you and a coil lying in the newly formed pathway. Follow along with the rope. Ascend the stairs and then swing ahead using the grapple tool. Drop down and climb the wall all the way down to observe multiple circular platforms throughout this part of the tomb. Fire a flare across the gas spewing near the circular platform below you to set it into motion. Hop onto it and then jump left. Clear the barricade up ahead and climb onto where you will find the enemy archer. Eliminate him and move left. Use the flare again at the gas spewing ahead of you to elevate another platform to your position. Hop onto it and then over to the next ledge after the bridge. Moving forward, you’ll come across the wooden ramp from where you can cut down the rope attached to a platform ahead of you in the distance. Use your arrows and return to the ramp while swinging forward to reach the platform ahead. Continue along the walkway and clear out the enemies while clearing out the blockage on the left. Swing, using the vine, to the far platform where you’ll see clouds of the green gas. Shoot a flare towards it to see another platform rising. Hop onto it and across. Move right and clear out the Yaaxil warriors before cutting down the rope on the left and clearing out the blockage ahead. Swing onto the next platform with the help of the metal hook and use the flare again to lower the platform you’re standing on. Defeat the enemies. Climb up the path you came from and move right to find another wooden ramp. All you have to do now is to use your tightrope to cross the bridge that lies between two platforms. Interact with the shrine and get your reward: Kinich Ahau’s Boon which restores health to the max when one is near death. East of Ruined Tower in southeast Mission of San Juan, you can enter the Challenge Tomb via the waterway. Avoiding the eels, swim until you see the light shining through the water at which point come to the surface. Climb up and remove the barrier ahead of you with the help of your arrows to decrease the water level. Swim through the skull and as you move down, you’ll notice a raft. Snip its rope and hop onto it after which climb onto a nearby wall to reach the Float Basin Base Camp. Climb up the wall and through the opening via the tunnel to observe the location of Shrine which sits atop a tower. Dive into the water below and avoid the piranhas by hopping onto a raft here. Then get back into the water and swim through a hole in a wall that lies near the gate with the anchor attached to it. Here you will find another raft that you need to let loose. Hop onto it and proceed to the back of the area where you’ll find a circular lever mechanism. Turn it clockwise to fill the bucket on your right which will also decrease the water level in the cavern. Climb down and tether a rope between the newly emerged coil and the anchor on the gate. Return to the lever and rotate it clockwise again so the waterwheel starts turning and the gate opens to provide access to the tower. Swim through, below the gate and climb up the inner wall of the tower. Ascend the stairs and you’ll reach the Shrine where you can loot the Sip’s Strike which boosts your damage from charged arrow shots. 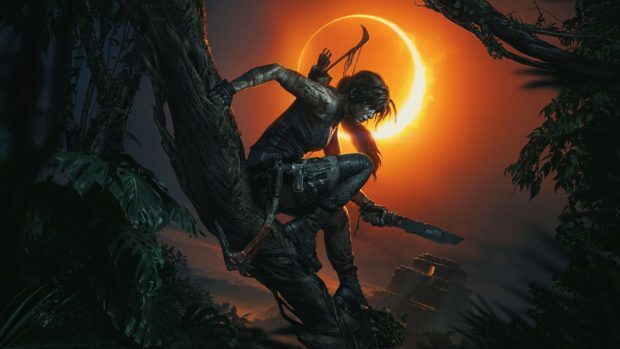 This is all we have in our Shadow of the Tomb Raider Challenge Tombs Guide. If there is anything else that you would like to add, let us know in the comments section below!